This is a pick up today. I'm a little baffled. 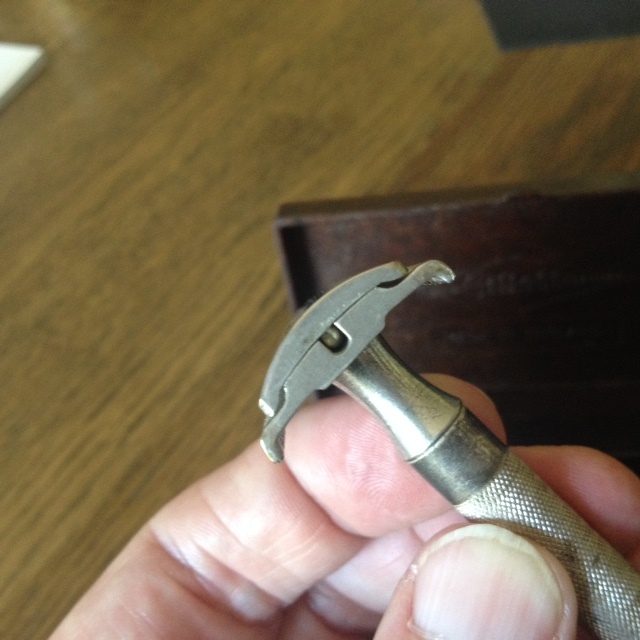 This is a ball-end with a hollow handle, and it's a NEW with the long comb. But check the case. 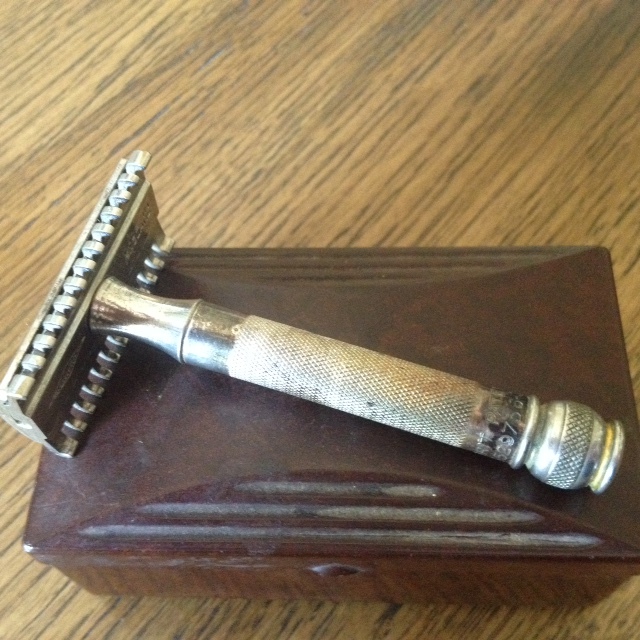 Possibly this razor didn't come with the case, sure, but the razor has all the appearance of being silver plated (the tarnish indicates this). It weighs in at 53g, but check the heft of the plate and head. Wow, solid!! "BRIT PATENT NOS 352975'6 - 363892"
But who knows: it might be all original. 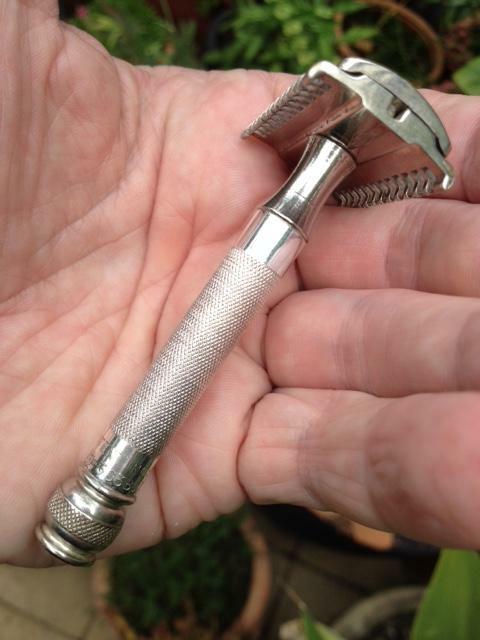 The guy I bought it from only had this set, nothing else in the way of shaving gear, so you never really know. A bunch of blades too. I have yet to clean it all up, but when I do, I'll post the results. Oh, and no crack in handle; all teeth straight as a die. 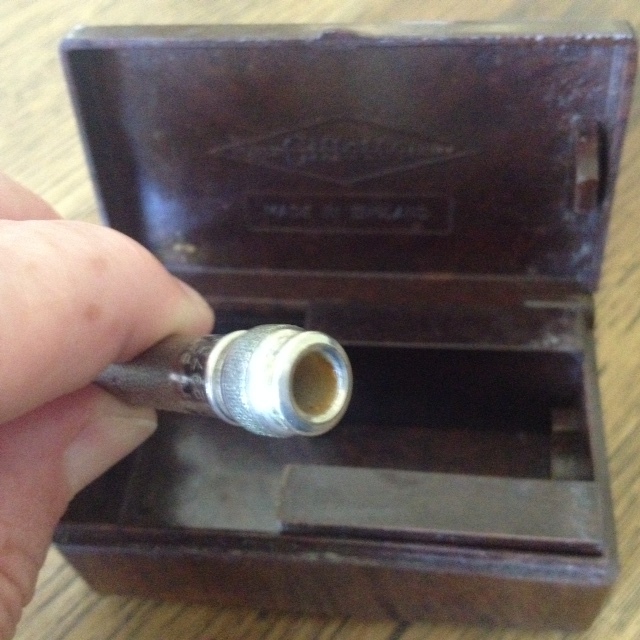 I've never seen these in that type of case before Shaun - I've always seen them in the style of case listed on Mr Razor, and would usually expect a #77 in that style of Bakelite case. There's nothing to say that they aren't an original combination though. 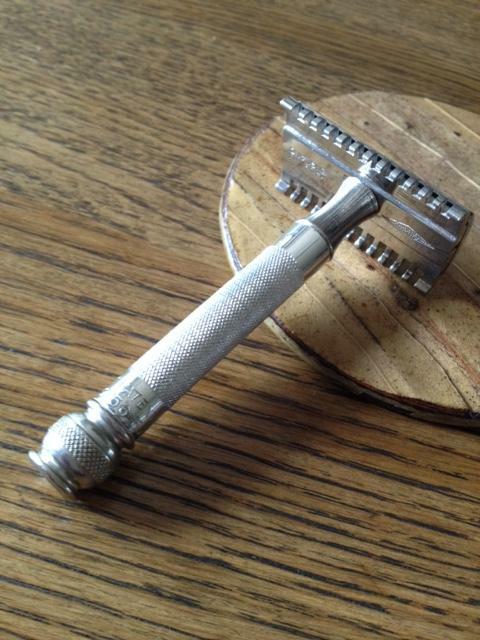 They're great razors that shave really well and to find one without a cracked handle is very good indeed. Another one was posted on another site a few months. That's the only other one I've seen and both have been on line. Nice find! Congratulations on the new acquisition! I finally loaded this up and used it today. Impressive shave. Very. As good as any other razor I have used; less aggressive than the 2013 R41 or the Ranger Tech, but smooth, forgiving, and a VERY close shave indeed. If you see one in the wild, chaps, then GET it. You will anyway, I know, ha ha. A quick easy way to tell if it's silver is place a tiny dab of bleach on it. It should tarnish in a few seconds. Then just give it a quicke rinse and polish that spot out. 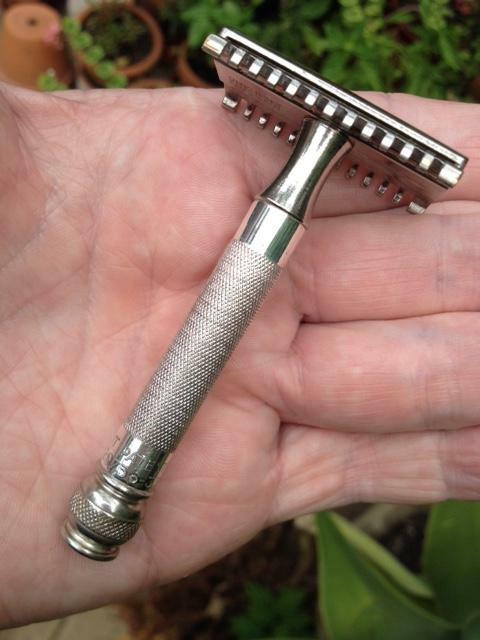 It's beautiful razor! Enjoy!